Spring means birds are carving out holes in trees! Woodpeckers are our most familiar bird carpenters, but other birds also chip out nests in trees and wood structures. Nuthatches — like this Red-breasted Nuthatch — are exceptional wood carvers, with their chisel-like bills. Chickadees will peck into less dense wood, carrying out wood chips by the beak full! 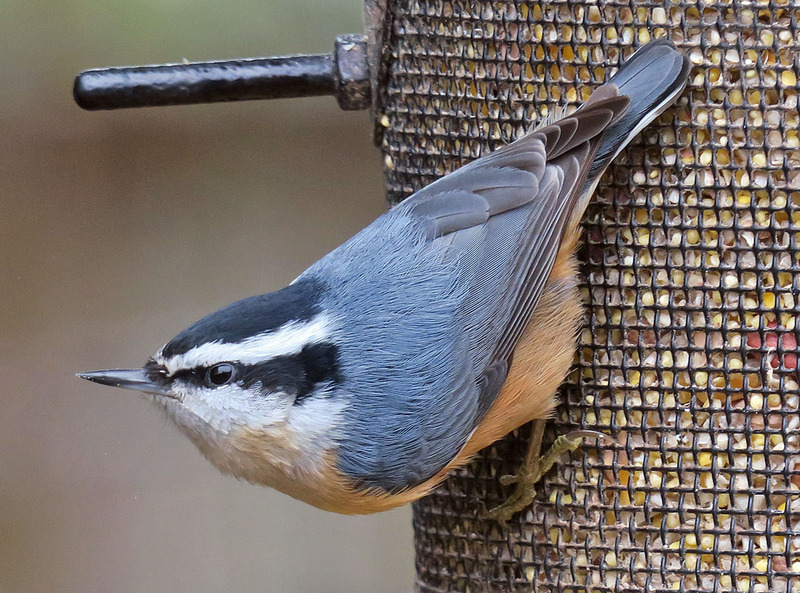 Listen for bird carpenters this spring — and watch for wood chips. Support for BirdNote comes from Forterra — saving keystone places for people and nature in the Pacific Northwest. Spring means woodpeckers carving out nest cavities. They’re our most familiar bird carpenters. But they aren't the only excavators at work. 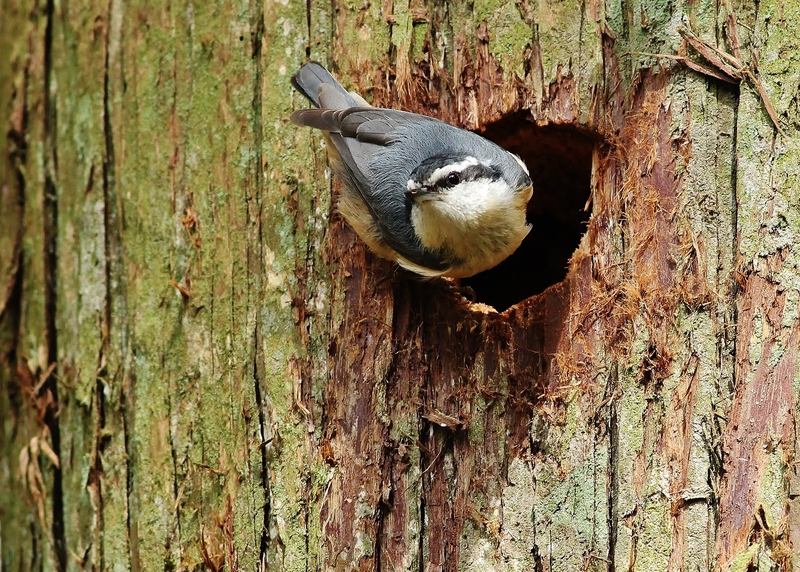 Tiny nuthatches, which also have chisel-like bills, are exceptional wood carvers. They will chip out nests in wood as tough as utility poles. 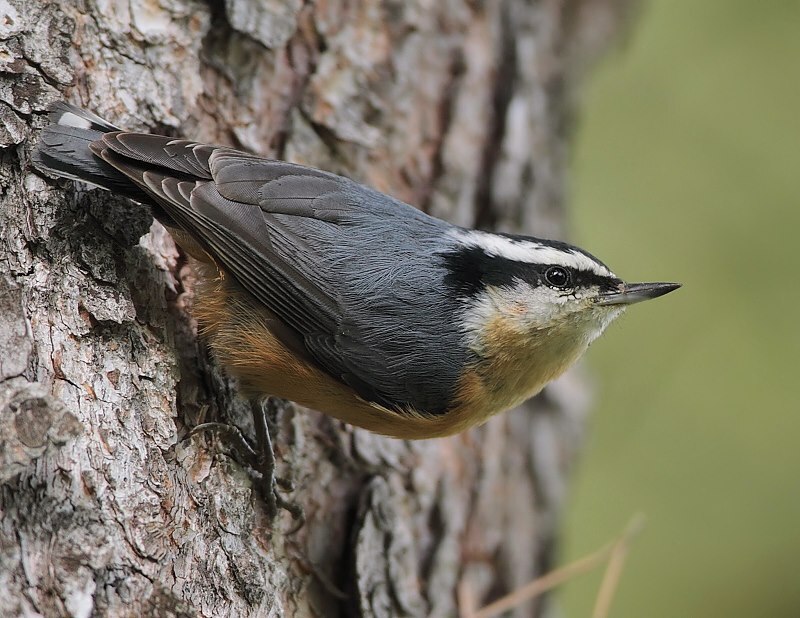 Some nuthatches coat their nest holes with sticky conifer resin. This may discourage predators or competitors—like squirrels and House Wrens—from taking over the nest site. The nuthatches flit above the sap as they come and go. The resin deposited outside Red-cockaded Woodpecker holes is thought to deter predators such as snakes. Very soft tapping may signal a chickadee at work. Even without a chisel for a bill, chickadees can still peck their way into less dense wood, like a knothole or a decayed section of a trunk. Both males and females ferry out wood chips, creating a cylindrical cavity about eight inches deep. Finally, the female alone adds a nesting layer of moss, lined with a softer material like fur, to make a soft and warm bed for eggs and nestlings. So listen this spring for bird carpenters—and watch for telltale showers of sawdust. Bird sounds provided by The Macaulay Library of Natural Sounds at the Cornell Lab of Ornithology, Ithaca, New York. Recorded by Geoffrey A. Keller, Wil Hershberger, and Ryan Sanderson.